Just a quick tip for anyone who is working with AVCHD footage in Mountain Lion. 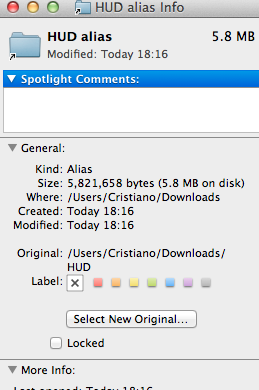 After upgrading to Mountain Lion, you’ll have noticed that, now, on your SDHC cards, the folders where your footage is are “packages”. To access your PRIVATE/AVCHD/BDMV/STREAM folder, the one that contains all of your .MTS files, you would now have to right-click and select “Show Package Contents” three times, and finally double click the STREAM folder. I found a pretty good workaround, thanks to a script by Jakob Peterhänsel, which adds an option to open the STREAM folder by right-clicking on the PRIVATE package inside your SDHC card. However, this is still not ideal, as you still have to click on the Drive (in this case, “NO NAME”), right-click on the PRIVATE package, and finally click on the “Open STREAM” option. I played around and tried to create an alias directly to the STREAM folder. 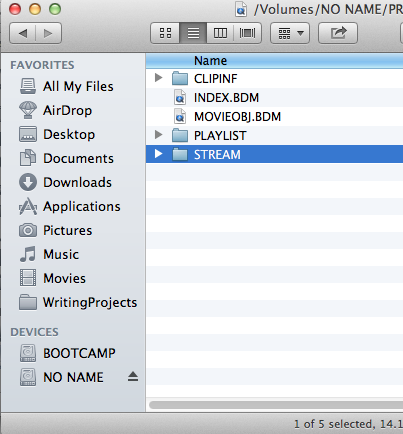 After fiddling a bit, I have found a way to open your PRIVATE/AVCHD/BDMV/STREAM folder with one click. Here’s how. 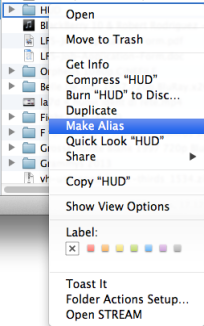 Click on any folder on your computer, and select the “Make Alias” option (or press Command + L). 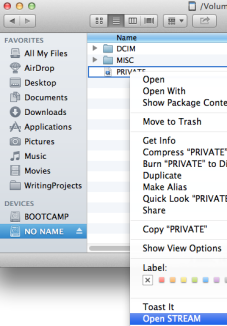 Now, open the PRIVATE/AVCHD/BDMV/ folder on your SDHC card, with your old “Show Package Contents” method. Now, drag the “STREAM” folder to your Finder sidebar, to the left. 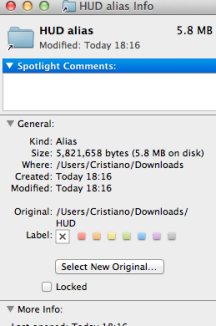 Right-click on the alias you created earlier, and select “Get Info”. Click on “Select New Original…”. 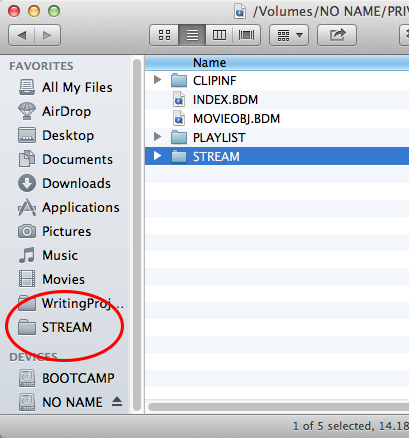 Finally, select the “STREAM” folder on your Finder sidebar and click “Open”. Voilà! 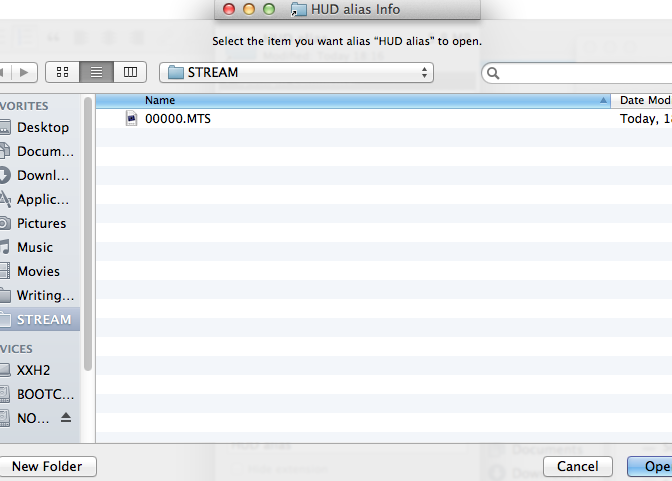 Now you’ve got an alias that will always open the “STREAM” folder on your SD card! 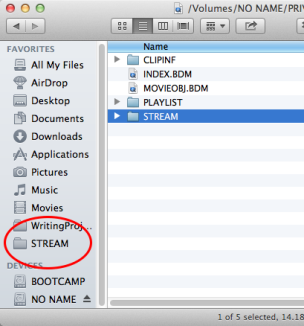 Rename it to “STREAM” (or whatever you see fit). BONUS: You can do what I did, and conveniently drag the alias to your Dock, so that you can access your .MTS files in one click, and VERY conveniently. Good tip, and more effecient than the method I was using before. Thanks Dave, glad it helped! Anytime Claybatt! Thanks for reading! Maybe I missed something, but when you have several different cards backed up to your hard drive, this method doesn’t work. 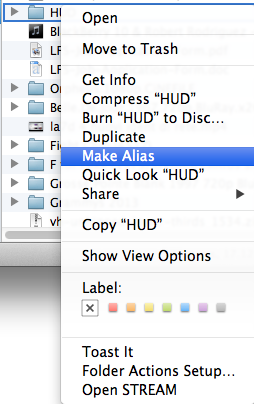 Or would you have to make an alias for each backups STREAM folder? Sorry if I missed it somewhere, at work so I had to read quick! It will work with any SDHC card that you connect to your computer. 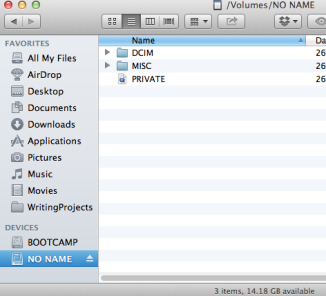 If you backup the files, just back them up on your drive in a folder named whatever you want. That’s what I do: insert card #1, access the files via the alias, copy them over to a folder (called, say, “footage”). 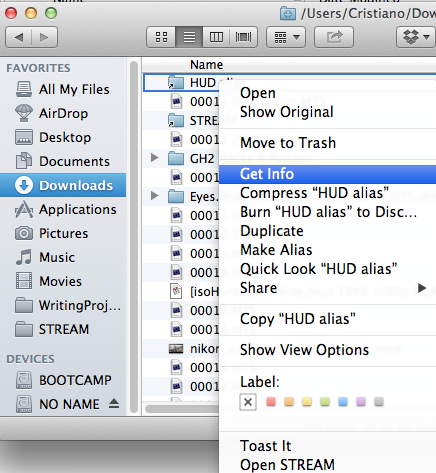 Insert card #2, access the files via the alias, copy them again & so on. I hope this clears things up. If you have further questions let me know.